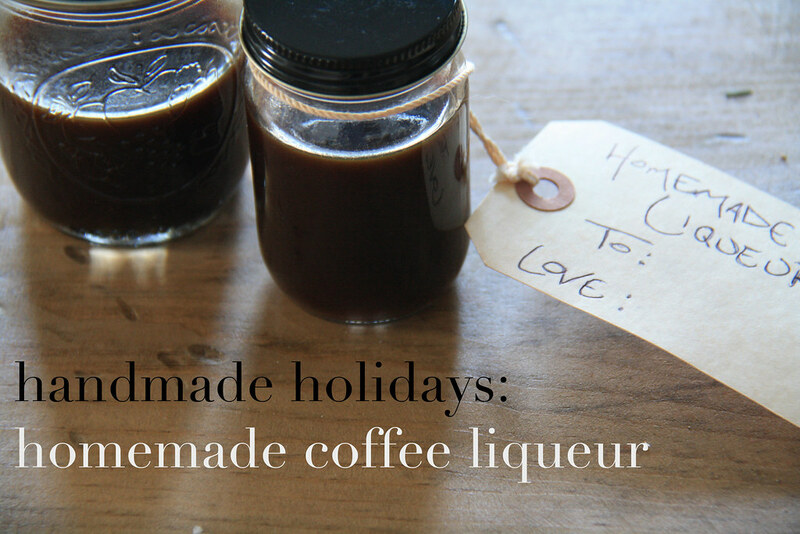 Handmade holiday gift guide, day four - a ridiculously easy recipe for coffee liqueur, made by infusing dark rum with sugar and fresh coffee grounds. 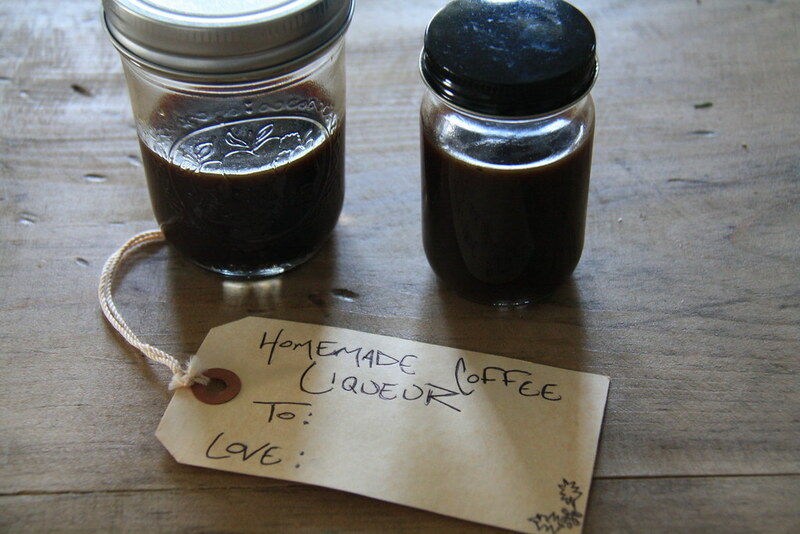 What you need for this project.. 12 fluid ounces of rum (I used dark aged rum), 25 grams of coffee (roughly 4 heaping tablespoons.. the better the coffee, the better the liqueur), and 1/4 cup sugar. 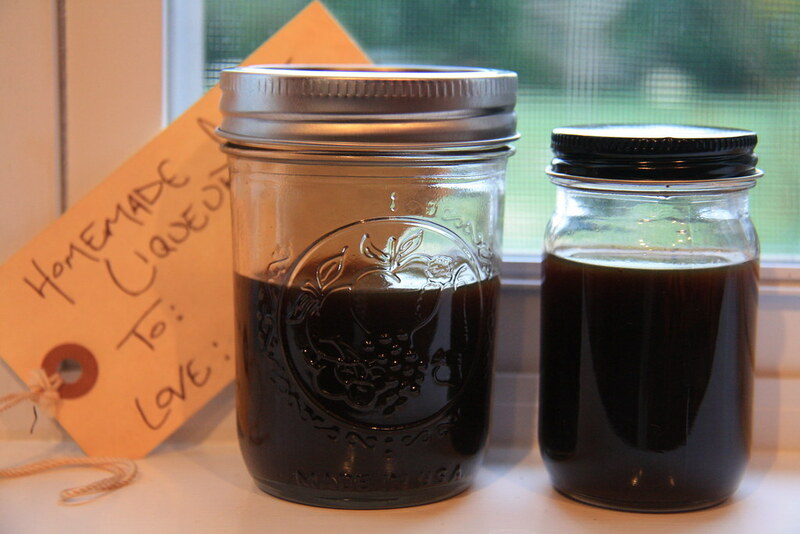 Tools you need are a fine mesh strainer, small saucepan, container for steeping liquid, scale for measuring coffee, coffee grinder and some fun glass containers to serve the liqueur in (small mason jars or cool bottles). 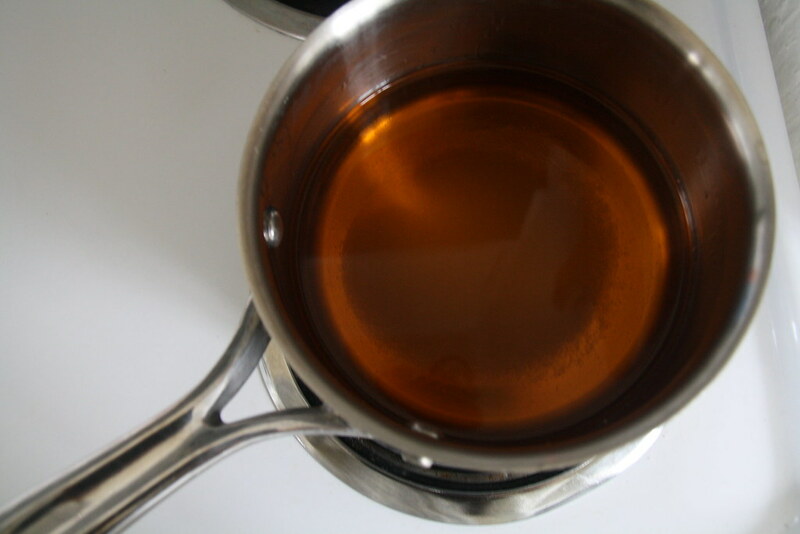 To begin, combine rum and sugar in saucepan and bring to a simmer over medium-high heat. Simmer mixture for 2-3 minutes. 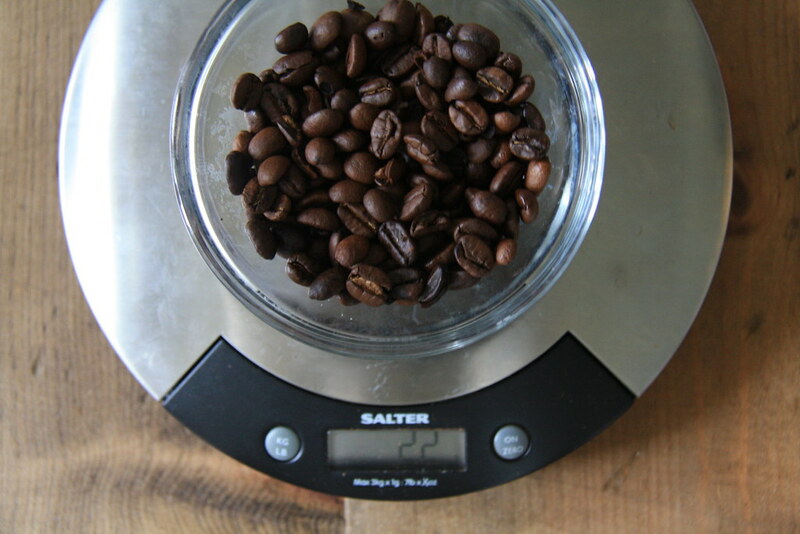 Measure out 25 grams of coffee and grind it on a coarse setting. Pour grounds into the container used for steeping. 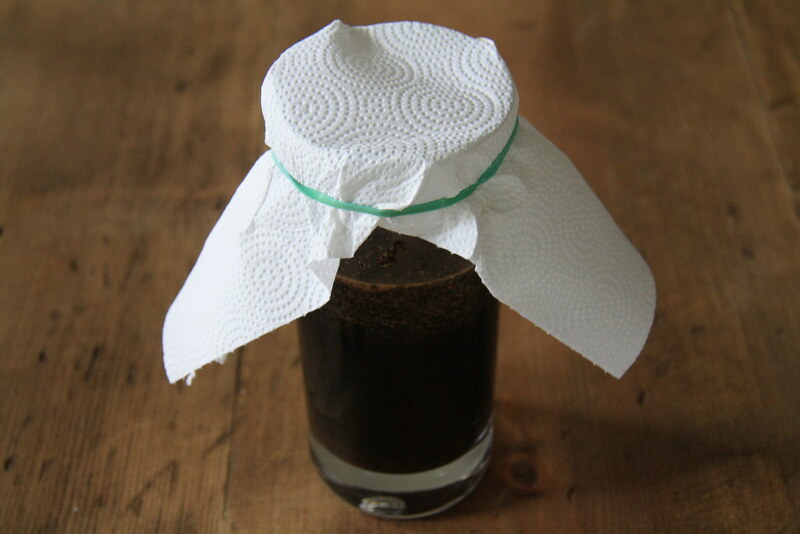 Remove rum mixture from heat and pour into container with coffee grounds - cover and let steep for 4-6 hours. 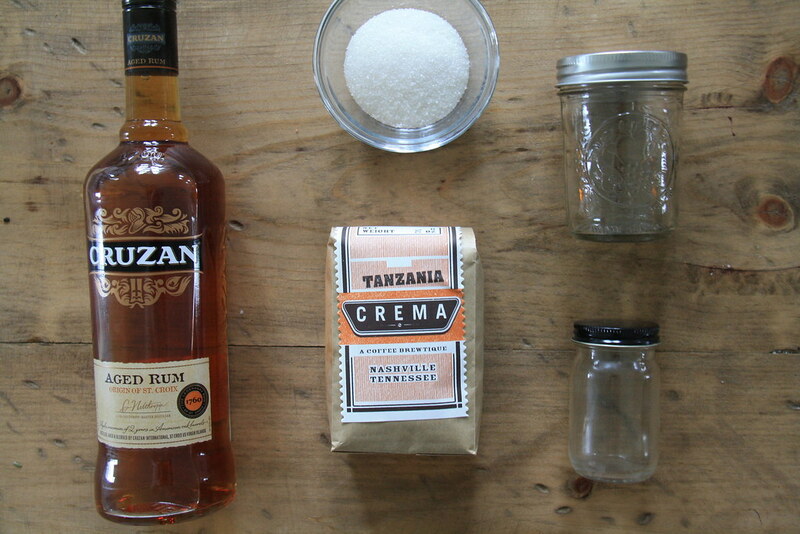 Uncover and pour liqueur through a fine mesh strainer into desired containers. And that's it! Use small jars for party favors and personalize with old-fashioned manilla tags. PS.. this recipe came from Imbibe Magazine. Big thanks to them! The holidays caught up with me a little too fast this year, which means I'll have to wait and share more handmade projects with you after Christmas festivities (sorry for the delay!). Wishing you guys the absolute best time with families and friends this year (as I write this, we're watching It's A Wonderful Life and fighting a sugar crash). Merry Christmas! !